After receiving methadone treatment for opioid drug addiction, many people still experience withdrawal symptoms. Coping with these symptoms can mean the difference between a successful recovery and the need for more treatment. It doesn’t cause the euphoric feelings caused by many opioid drugs when dosed correctly. It reduces the use of injection drugs when used as a treatment. According to the CDC, methadone also “relieves symptoms associated with withdrawal from opiates,” but as a narcotic analgesic, it still causes physical dependence, resulting in withdrawal. Because the small doses should not cause cravings and euphoria, when a person ends methadone treatment, he or she should only experience the physical symptoms of methadone withdrawal. 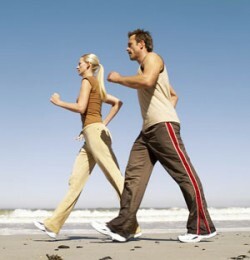 Exercise and diet can help you cope with methadone withdrawal. You may find yourself having difficulty staying still or staying calm. You might be jittery as well, moving with no reason to. This can make it very difficult to sleep. It is important, though, to get as much rest as possible. Even if you are lying down and trying to get your body to a calm place, it is better than pushing yourself too hard, especially in this stage. Your body is dealing with the absence of the drug and profuse sweating is one of the ways it will do so. This can be embarrassing but, especially, dehydrating. Make sure you drink plenty of water and sports drinks like Gatorade; they will help increase your electrolytes and keep you from getting too dehydrated and feeling faint. Flu symptoms can include chills, teary eyes, runny nose, and other mild but annoying symptoms. These usually all come together, making a person feel as if he or she has the flu. This stage can be very difficult as you’re attempting to make your transition off of methadone, but make sure to take care of yourself. If you had the flu, you would rest and take the time to heal. That is what you should be doing now. Whether you started taking opioids for pain or you are merely feeling the symptoms of the drugs being gone from your system, this is the most painful part of methadone withdrawal. Discuss with your doctor what over-the-counter pain medications you may be able to take and how often. Continue to rest and give your body time to work through the pain. The NLM states that “methadone can be habit-forming,” so experiencing withdrawal symptoms after treatment is not uncommon. Make sure to take care of yourself, get plenty of rest, and drink fluids. Treat yourself as if you have the flu, and you will likely be over your symptoms in a week or so.